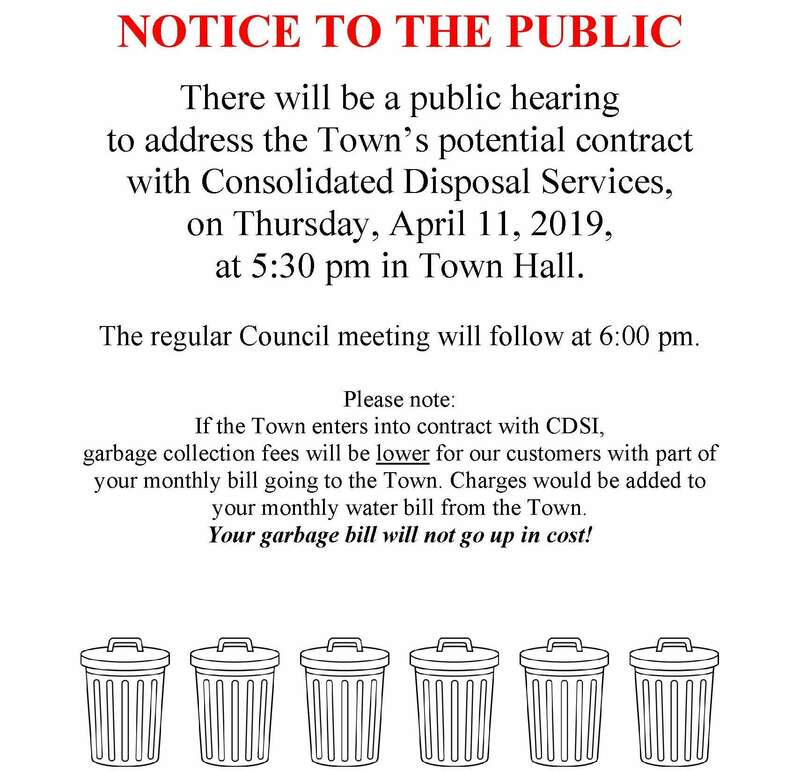 There will be a public hearing to address the Town’s potential contract with Consolidated Disposal Services, on Thursday, April 11, 2019, at 5:30 pm in Town Hall. The regular Council meeting will follow at 6:00 pm. If the Town enters into contract with CDSI, garbage collection fees will be lower for our customers with part of your monthly bill going to the Town. Charges would be added to your monthly water bill from the Town. Your garbage bill will not go up in cost!